Singapore’s Foreign Minister said Jaffna “holds special significance” for his country, during a visit to the region today. 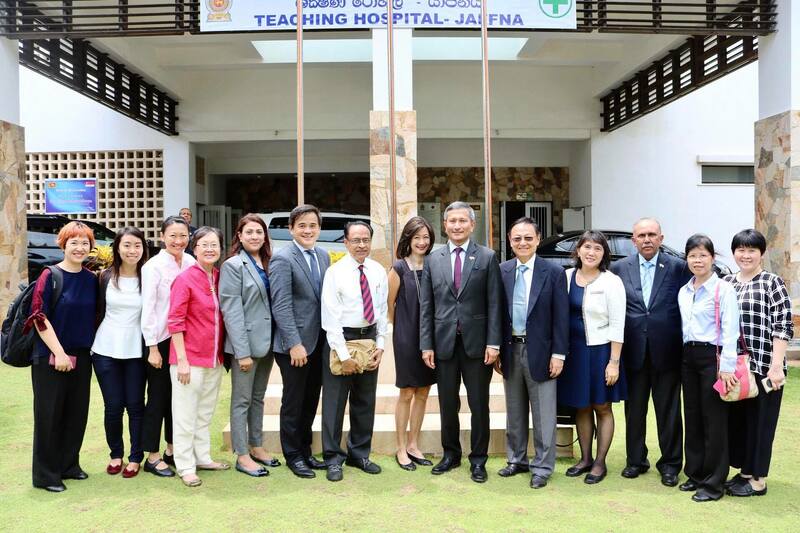 Vivian Balakrishnan met with the Chief Minister of the Northern Province C V Wigneswaran, and visited the Jaffna Public Library, Jaffna Teaching Hospital and the University of Jaffna Medical Faculty during his trip. 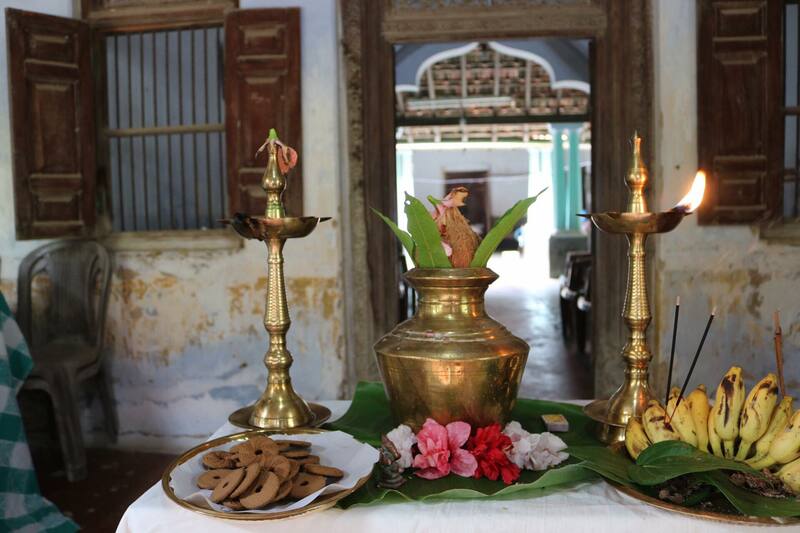 “Today, we are here to strengthen these enduring ties and give back to Jaffna,” he added. As part of his visit to Jaffna, Mr Balakrishnan presented 500 books to the Jaffna Public Library, as part of a move announced by Singapore’s Prime Minister Lee Hsien Loong last year. “The two libraries share a longstanding partnership in capacity-building and education initiatives,” said Mr Balakrishnan. 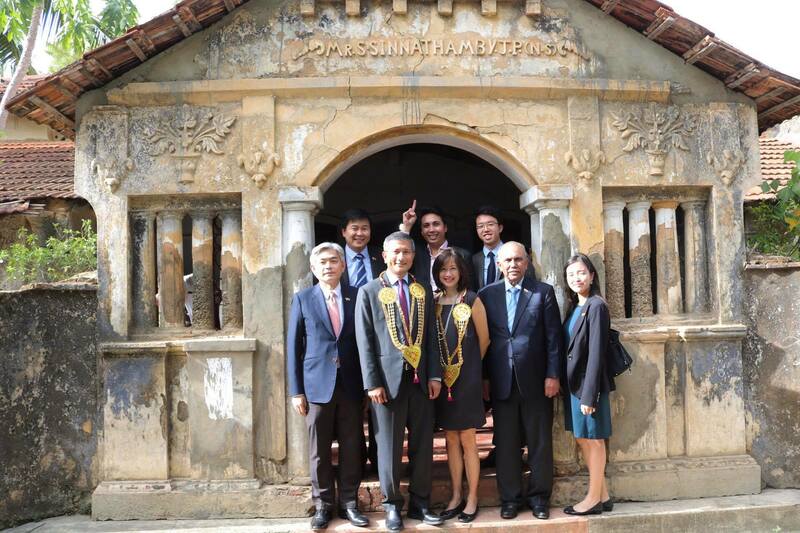 Singapore has previously assisted with Jaffna Library restoration projects, having announced a youth development program in 2014 designed to help 3,000 youngsters in the district and donated 10,000 English books to the library. 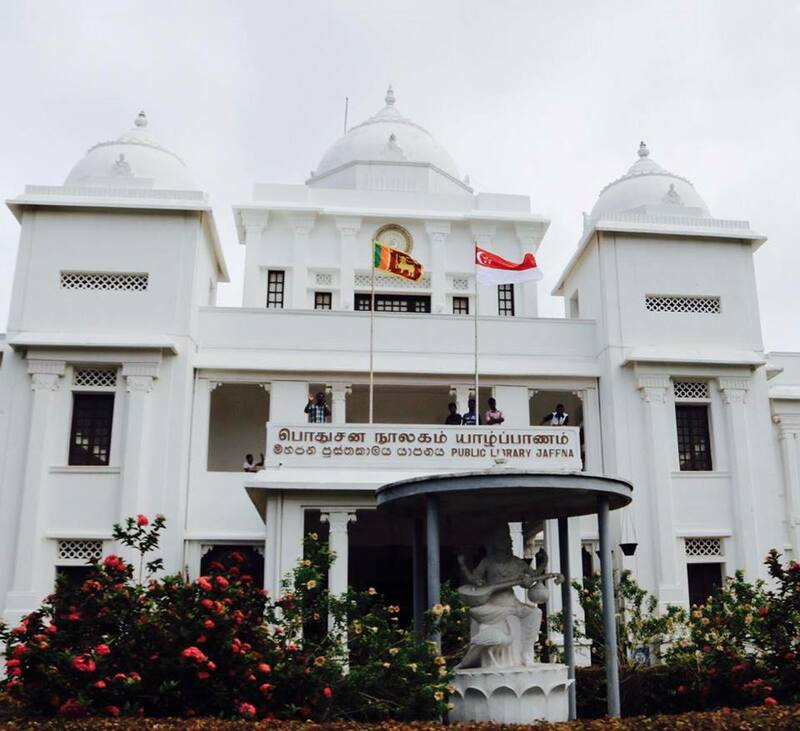 Dr Balakrishnan, a qualified ophthalmologist who briefly worked in London, also visited the Jaffna Teaching Hospital and the University of Jaffna Medical Faculty to launch the Orthopedic Development Programme. Singapore's cultural ties with the Tamil people have been longstanding, with Tamil being one of Singapore's four official languages. In 2011, the government announced a new Tamil-language elective for high-ability secondary and junior college students who want to go deeper into the language, its literature and culture under the National Elective Tamil Language Programme (NETP). File photograph: Lee Hsien Loong with Narendra Modi in 2015. 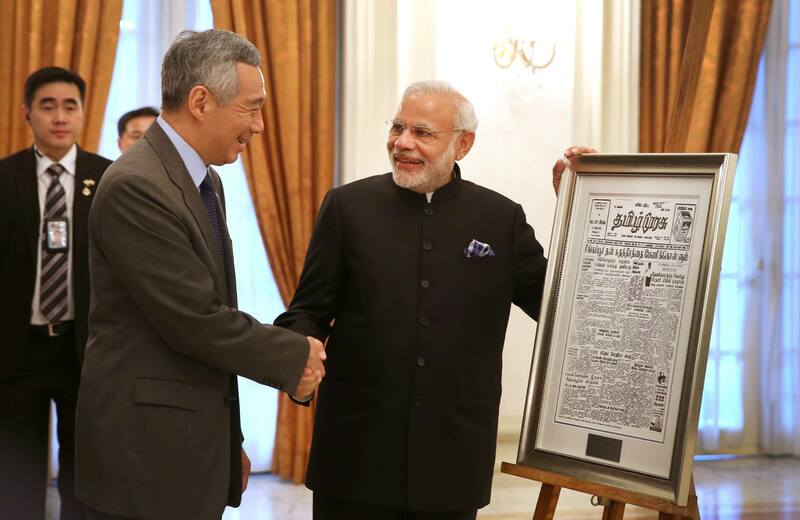 When Indian Prime Minister Narendra Modi visited Singapore in 2015, Singapore’s Prime Minister Lee Hsien Loong gifted him with a copy of the Tamil Murasu, which first reported on India’s recognition of Singapore as an independent country in 1965. The country has particularly deep links with Tamils in the North-East. Many Tamils, mainly from Jaffna, travelled in vast numbers to Singapore in the 19th and early 20th century. “This is personally meaningful for me as I have had the privilege of learning from outstanding doctors of Jaffna origin during my days as a medical student,” stated Dr Balakrishnan after his tour of Jaffna Teaching Hospital. Dr Balakrishnan and his team also visited the home of Singapore’s first foreign minister Sinnathamby Rajaratnam, who was born in Jaffna. Mr Rajaratnam played a "pivotal role in Singapore's independence" said Dr Balakrishnan, adding that the visit to his home was an "inspiring moment" for all of the Singaporean officials present. During his visit to the island, Dr Balakrishnan also met with the leader of the Tamil National Alliance as well as the Northern Province Governor and other senior government officials, where both governments committed to arriving at a free trade agreement by the end of this year. 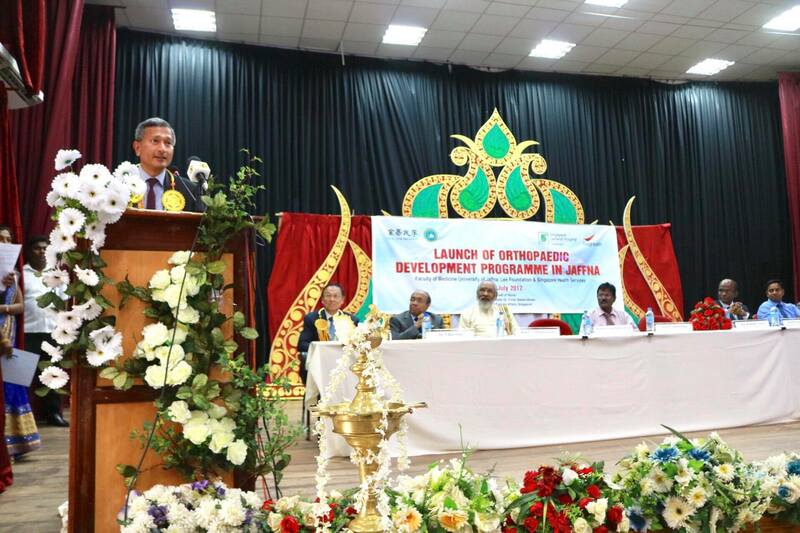 "We hope to support Jaffna's development through the gift of education and knowledge,” he stated.